Ideal for boys or girls (boy basket shown). This basket for a baby contains something for the new mum aswell. From the designer Bababoo comes a beautiful soft long sleeved T-shirt featuring a monkey and three bibs. 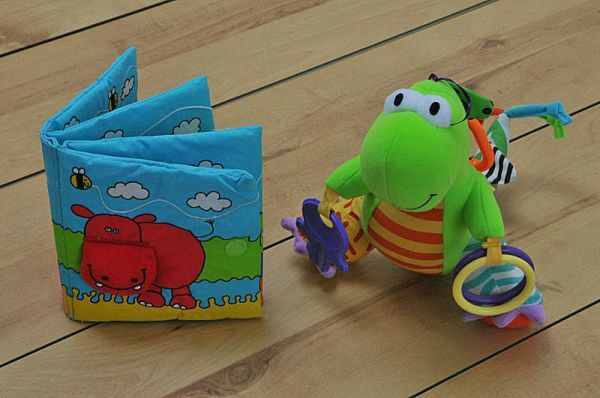 There is a super soft hooded towel to welcome baby after a bath, a soft jungle themed padded book, a lovely friendly dinosaur, a cot or pushchair activity sprial with lots of danglies to entertain an active mind, a jungle blanket and some delicious Belgian chocolates for mum. 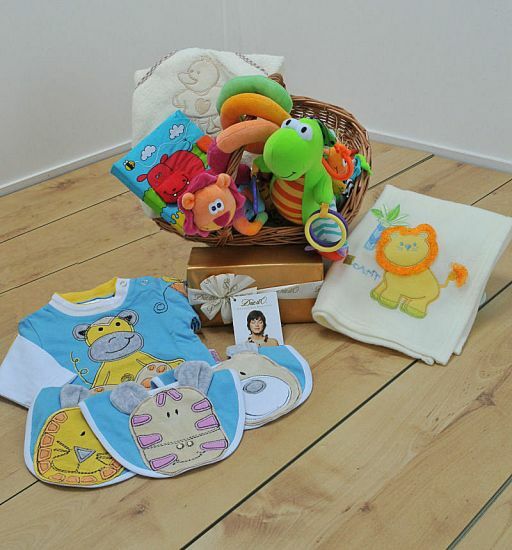 All packaged nicely in a brown wicker gift basket which makes a handy nappy caddy when the gifts have been removed. 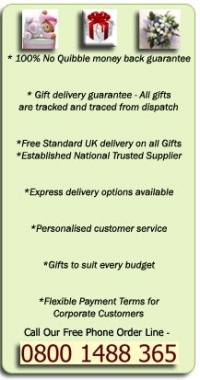 We will send 0-3 months clothing unless you specify otherwise below. 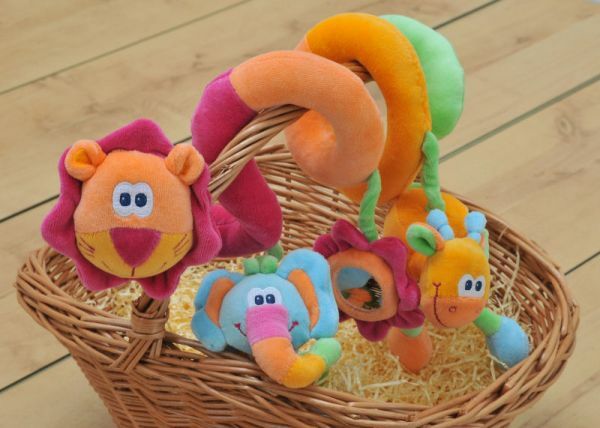 Unfortunately the clothing in this baby gift basket does not come in premature baby size.